Youngstown-Mr. John B. Campbell, 92, died at Hospice of the Valley's Hospice House on November 27, 2018 from congestive heart failure and other complications. He is survived by three daughters, Susan DiGiacomo and Sandra (Anthony) Malice of Boardman, and Sharyn Campbell and husband Kevin O’Brien of Henrico, VA; grandchildren, Aimee and Kyle Malice of Boardman, and Alex DiGiacomo of Toronto, ON, Canada. He was preceded in death by his parents; wife, Mary Jane Campbell; and a grandson, Justin Malice of Boardman. John was born on April 10, 1926, in Roanoke, VA, to John O. and Helen Sillitoe Campbell. 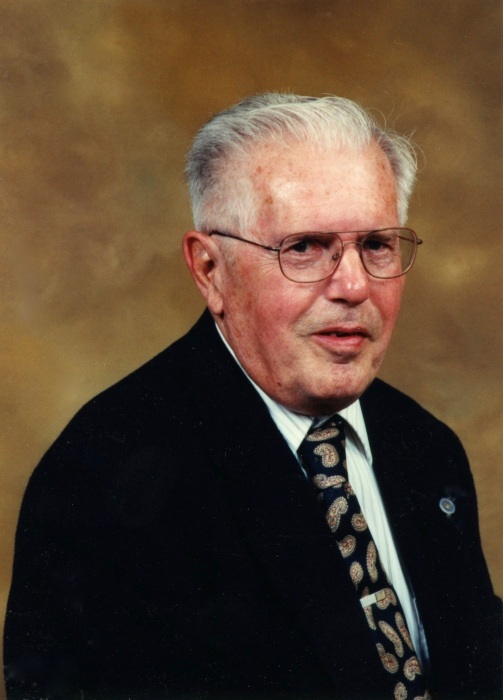 He was a 1944 graduate of South High School in Youngstown and served in the European Theater of Operations, 102nd Infantry Division (Ozark), in World War II. John graduated from Youngstown College in 1950 and worked as an accountant, first for Youngstown Sheet & Tube Co. (LTV) for 29 years and later for Youngstown State University for 12 years. He met Mary Jane Zimmerman while attending Youngstown College, and they were wed on June 11, 1949. As a young man, John worked at Idora Park, Mill Creek Park, and as a stage hand (member of Stage Employees Local #70). He was a past member of Sulgrave Masonic Lodge No. 696. John played on golf teams at work, enjoyed poker with close friends, tackled various household projects including painting and carpentry, and loved a pipe full of tobacco. John and Mary Jane were members of Indianola Methodist Church and later Boardman United Methodist Church, where he served as an usher for many years. Together they enjoyed tending to their yard in Boardman, U.S. travel, and four grandchildren who grew up nearby. With the support of family and community, John was dedicated to overseeing Mary Jane’s care for over a decade. A memorial service will be held on Friday, January 18, 2019 at 1 p.m. in the chapel at Ohio Living Park Vista, 1216 Fifth Ave., Youngstown. Following the memorial service, the family will greet friends in the Gathering Room. All are welcome to attend and celebrate John's life. In John’s memory, donations may be sent to Ohio Living Foundation (ohioliving.org/foundation), Hospice of the Valley (hospicevalley.org) or Boardman United Methodist Church (boardmanmethodist.org). The family thanks Ohio Living Park Vista staff for providing a supportive, engaging, and compassionate atmosphere during the nine years that John and Mary Jane resided there.